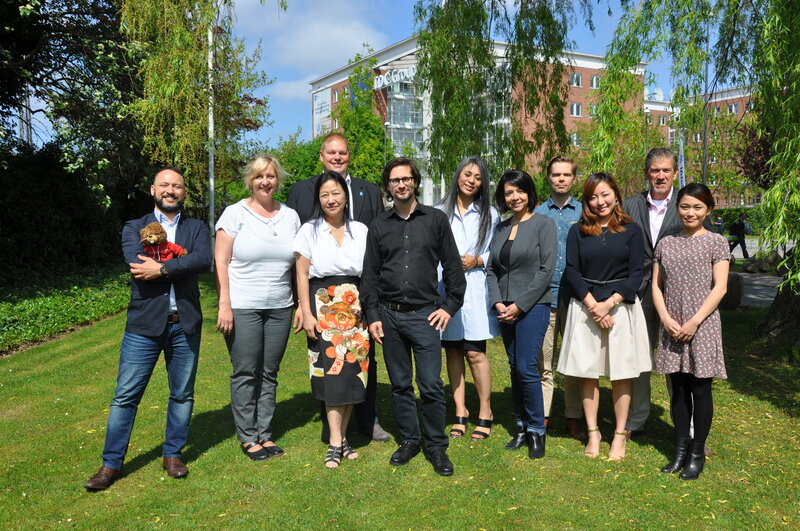 The Young Reporters for the Environment (YRE) International Jury meeting for the 2017 Competition successfully took place on 24 May at the Foundation for Environmental Education Head Office in Copenhagen, Denmark. The Jury this year was composed of stakeholders in the fields of environmental journalism and Education for Sustainable Development. The members are Christopher Slaney, Freelance Journalist, Mari Nishimura, Associate Programme Officer, UNEP, Julie Saito, Programme Specialist of Communication, UNESCO, Clemens Bomsdorf, Journalist and Correspondent for the Nordic countries, Anne Vela-Wagner, Executive Director of the Wrigley Company Foundation, Pedro Marcelino, Documentary Film Producer and Director, Mayra Navarrete, Photographer, Boris Šušmak, FEE Board Member, and Antti Kaartinen, Communications Expert currently working as a Press Officer at the European Environment Agency (EEA) in Copenhagen. You can find more information on their profiles here. The Jury went through and discussed the top national entries in the media categories of articles, photographs and videos, across the age categories 11-14, 15-18, 19-21, as well as the International Collaboration category. The Jury reviewed also entries from the Litter Less Campaign. The Jury then decided on this year's YRE International Competition winners, who will be published on Huffington Post kids as a prize. All entries can be found on the competition's Exposure page. The Jury appreciated this year’s submissions for the YRE International Competition. The Jury recognised the improved quality of the entries submitted for the competition this year. The Jury also recognised two types of entries, first - based on general YRE rules, recognised as a journalistic entry (in the photo and video category) and the second type, campaign photo or video. The Jury decided to award some of the entries with the above comments and suggested to continue the competition in the future with recognition of those two categories. Title: Flowers: The candle that burns to illumnate the population of "Dades"
Title: Coffee Production and Consumption – The Issues and Solutions. Author: Ulidia Integrated College, Carrickfergus (Northern Ireland) and Lycee Pole, Fort Dauphin (Madagascar). Title: Where laugh, and games, and children are? Title: Cotton swabs on the beaches. How to solve it? Congratulation to all winners and thank you for your participation! Copyright © 2016 Foundation For Environmental Education, (FEE), All rights reserved.